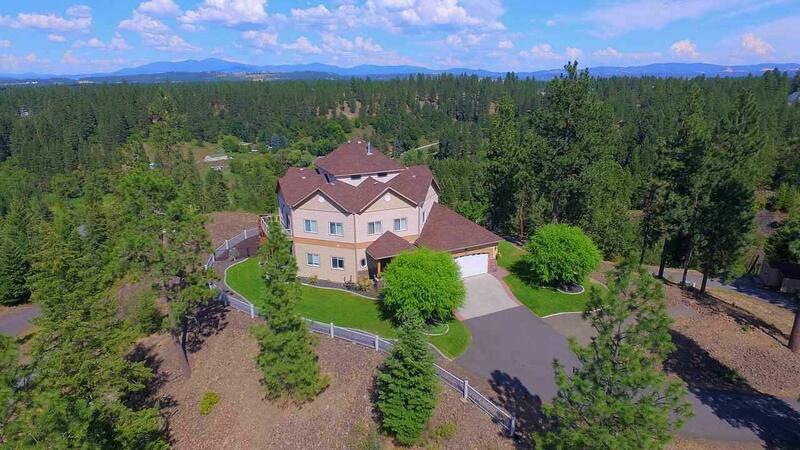 The best possible view of Mt Spokane is from this remarkable custom estate nestled on almost 10 acres. 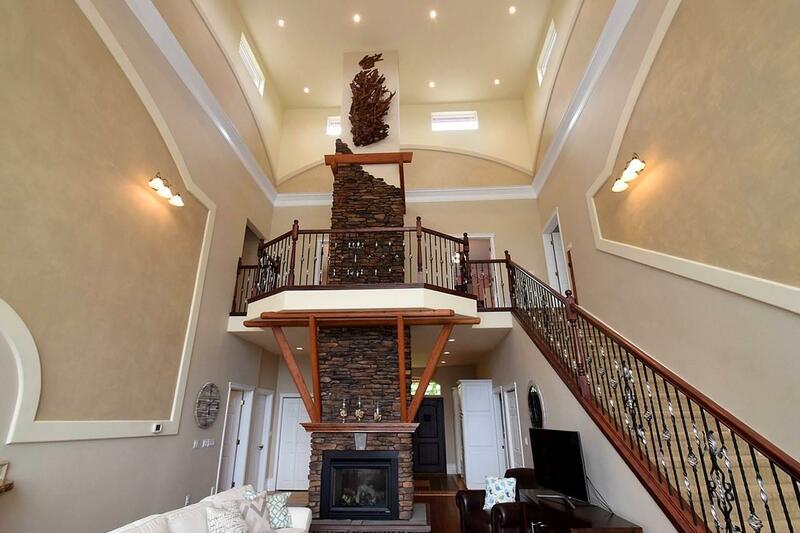 Soaring windows & stunning 2-story fireplace contribute to the "WOW factor. The kitchen is a chefs dream. 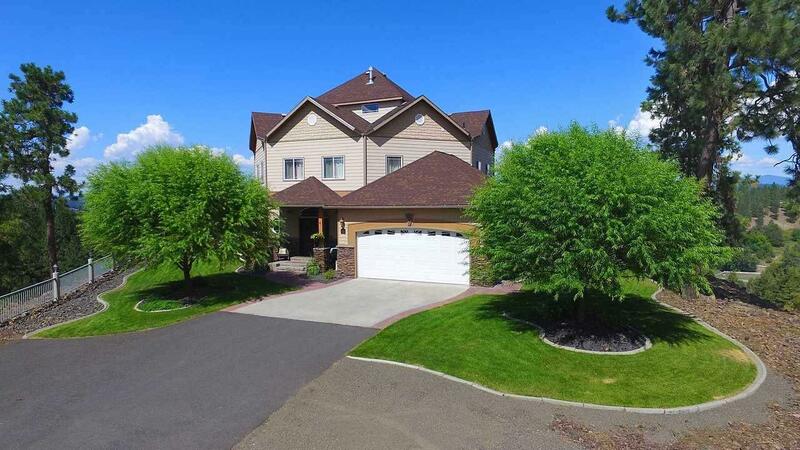 A gracious staircase leads to 4 generous bedrooms, all with walk-in-closets. Master boasts a private balcony, spacious glass shower & claw foot tub. 2nd Master on main level. 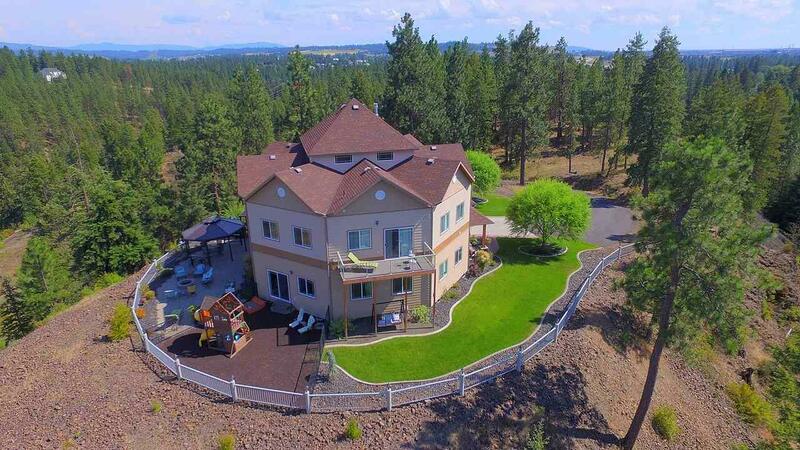 Outdoor living at its finest - from the custom patio to play area & raised garden beds. Gated entry & minutes to Wandermere.